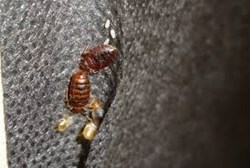 Bed bugs reportedly bit off thousands of dollars from Norfolk fire department. My Cleaning Products, in response to the report, suggested a bed bug spray to help the public avoid such huge pest-control expense. The bed bugs in Norfolk gave the city's fire department a thousands-worth of a problem. And stating that it could do the same to anyone else, My Cleaning Products gave out a bed bug advice. Moreover, it recommended a pesticide-exempt bed bug spray in case the critters get past one's prevent steps. A report from wvec.com dated November 25, 2013 stated that the crawlies had cost Norfolk Fire Department more than $30,000, My Cleaning Products shared. And because of it, it relayed that the department tightened its SOP regarding bed bug prevention and inspection. Suffolk and Newport News' fire departments, it added also did the same thing. The amount specified in the report covered the bed bug treatment in five Norfolk fire stations. MCP related. Three of them, it detailed, were infested by the pests for the past seven months. The discovery of the critters in them, it stated, led to a department-wide inspection, which detected the infestation on two more fire houses. “While mold was costing a fire house in Chattanooga some $25,000, the bed bugs were biting more than $30,000 off fire stations in Norfolk. Although they are small, My Cleaning Products said that bed bugs could bring a huge financial problem. An infestation of them, it stated, could force someone to get a professional help or throw furniture pieces. Either of the two, it pointed out, could cost an individual a big amount. Because of that, MCP stated that a person must take steps to prevent the critters. In case they get past the preventive measures, it asserted that one must also be quick to find and kill bed bugs. With that, they wouldn't be able to multiply. And that, it cited, avoids bigger expenses as one could do the treatment personally as early elimination makes the process easy. However, it asserted that a person must not use just any bed bug spray when implementing the treatment. Besides being effective, it stated that it also must be safe to avoid endangering anybody's health. With that said, it pointed Bed Bug Bully as the best to use in the process. It explained that hotels, hospitals and pest-control companies had already proven that it is efficient. It elaborated that it is also organic-based and even on EPA's FIFRA 25(b) pesticide-exempt list, so, one could rest assured that it is safe. To prove those benefits true, MCP encouraged the public to try the product. It shared that Bed Bug Bully Complimentary Samples are available for everyone at MyCleaningProducts.com.